Many of you have likely heard of the whole 11:11 make a wish concept but many of you may not have. It is not something new however it is definitely something I have been doing nearly unconsciously for quite some time. I love the number 11 as it just seems to be a perfect number and has been known as an angel number and one containing very positive energy. It is said that when you see it you are being given a message from your guardian angel and you should pay attention to your thoughts at the time. That is just one concept to this number combination. There are many theories to this number, alone or in combination with other numbers, with roots in numerology and metaphysical practices to name just a couple. I personally would be hard pressed to identify the actual roots, and I am not about to claim to be an expert on 11, but I do know what it means for me. Recently I noticed the energy shifts in me when I would randomly spot the 11:11 combination on a digital clock or my cell phone. I felt empowered and focused on whatever my attention was on at the time of seeing this pattern of dots and dashes. Many times I would make a wish as had become my habit. Then cool things began to happen. Measurable changes in my good fortune and positive attitude were noted. I was having so much fun with it that I decided to take matters into my own hands. A few weeks ago, I deliberately created opportunities for myself to feel this energy and focus in on it. My cell phone offered the perfect tool. The choice was made to set my notification alarm to play a lovely light tune at 11:11 twice a day. It became for me a conscious time to fully be in the now and focus on what I was grateful for in that moment. It is true… when you are in an attitude of Gratitude you vibrate at a higher frequency and in my case more good things have started to present themselves for me to be grateful for. When my phone would play that melody, no matter what I was doing or who I was with I would take a deep breath, maybe even close my eyes, and offer thanks to the universe. After a while some friends asked me what I was doing when I took those pauses if they happened to notice. There was also a lightness in me that became apparent to those in tuned enough to spot it. Plus it also seemed I tended to smile more due to some of the good things that started coming my way. I began to share with those close to me the fun I was having with my 11:11 alarm and how it was helping remind me to be in a state of gratitude. I guess people paid attention. 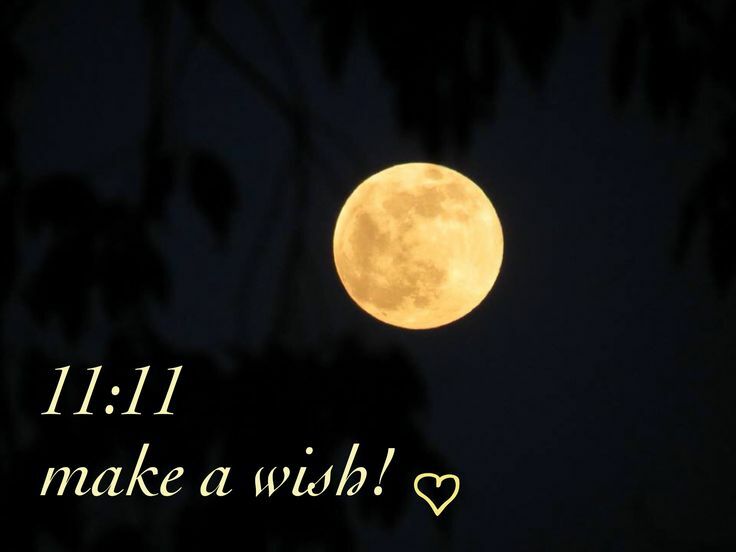 The other morning I was visiting with people in my extended circle of friends when 11:11am chimed in… not just on my phone but on a couple of others… the smiles grew broad for all of us and I laughed out loud when several statements of “11:11, make a wish” were heard. Such a small thing but the vibration in the room did elevate and I know the smiles lingered as if we all shared a secret. But it is no secret, I share this with you openly because it is more powerful if shared. 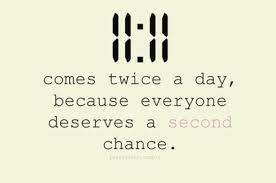 What is your 11:11 wish ?